There are a number of ways you can find films on Twig. The Curriculum view helps you to quickly find the most relevant film for your lesson. Click on the ‘Find Films’ tab in the header. 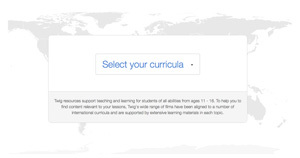 Select ‘Curriculum View’ from the drop-down list. Choose the area of the curriculum you are teaching. Click on the image to watch the desired film. Quickly access films that cover specific learning objectives and curriculum. This feature is available for many major world curricula. To see all films related to a specific subject you can use the List view. This display shows all the subjects on Twig, with related modules listed. 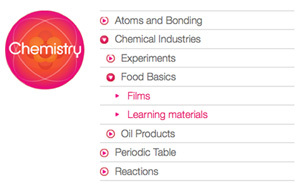 When you select a topic - films, learning materials and related experiments will appear. Select ‘List view’ from the drop-down list. Choose the subject and module. Select ‘Films’ ‘Learning Materials’ or 'Experiments'. Twig Mindmap helps you navigate through content to find films related to a specific topic. Select ‘Mindmap view’ from the drop-down list. Each image in the Mindmap represents a three-minute film. Click the (i) icon to read a short film description for each film. Watch the film by clicking on the image. The central films contain the core curriculum content, with related films linking out from these. 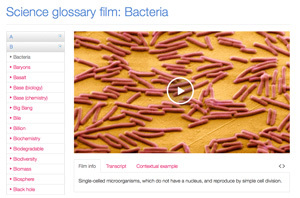 Science Glossary films are sixty-second definitions of key scientific terms. They are listed in alphabetical order in the Science Glossary Index. Select ‘Science Glossary Index’ from the drop-down list. On the right you’ll find a selection of featured terms to explore. To access a specific term select the first letter of the word and scroll down to find the relevant film. Top tip: Know what you're looking for? Search for videos on Twig using our search box.